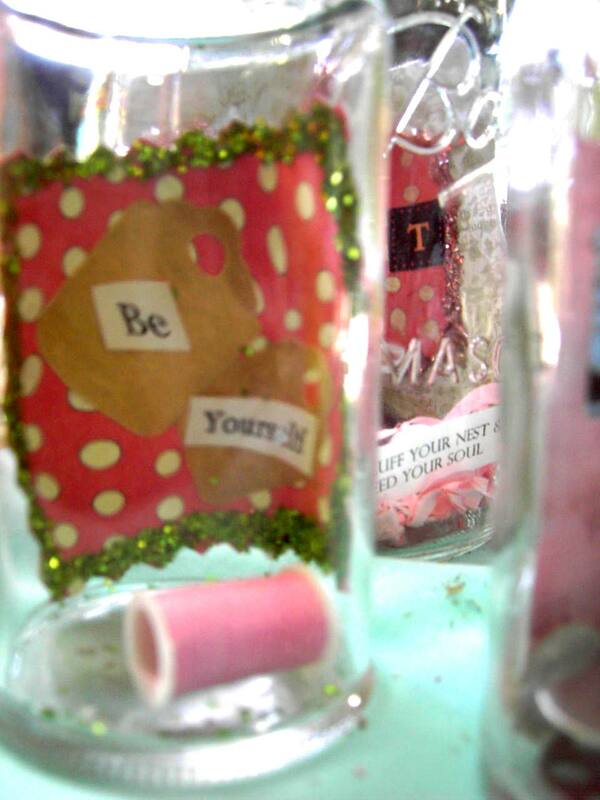 My latest WIP for the shoppe are bottle and jars with stuff in them. I have yet to name them. 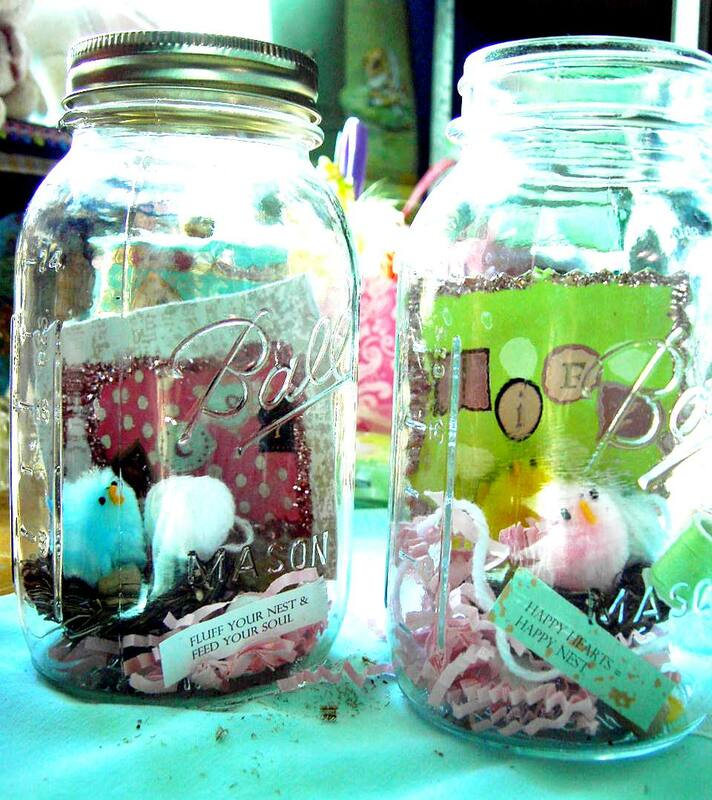 The inspiration for the larger jars came from an Easter egg I had as a kid. The kind that was made of sugar (or made to look like it was made of sugar) and had a small opening at the tip that you could look through and see a whole little Easter-land inside. 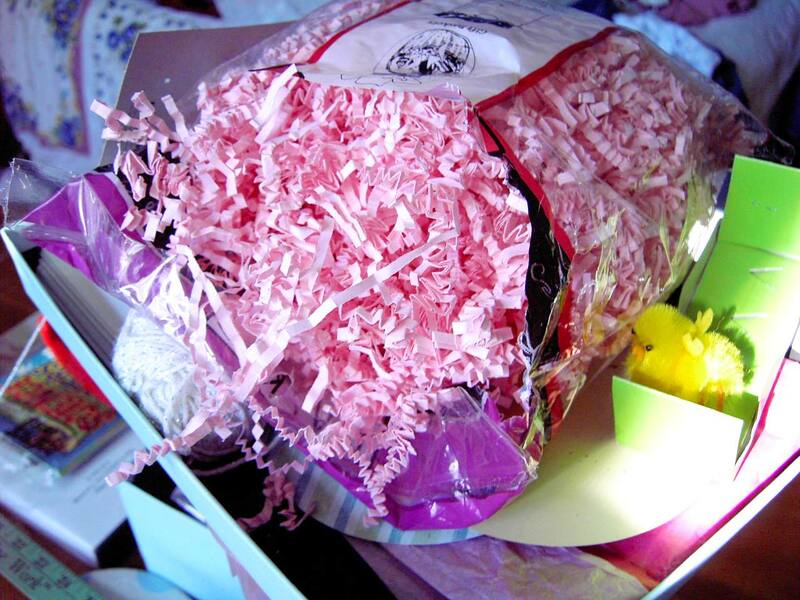 Tiny bunny’s and ducklings, mini eggs and baskets all playing happily on a bed of Easter grass. I started with a jelly jar and just kinda played with it. Adding a nest, the word “nest”, a small chick and some other bits and pieces – vintage buttons, small ball of yarn- those sorts , of things. I have begun a love affair the past few years with nest, feeling that it is the perfect example of what I aim to do at home and at work. 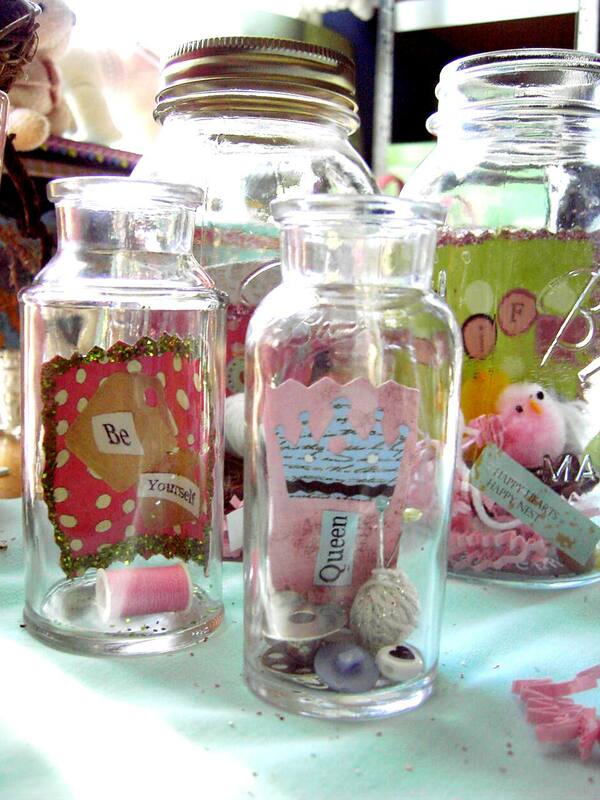 I have also worked on some none-Easter apothecary jars sort of my version of a “message in a bottle” or maybe a “story in a bottle.” I am word person; a narrative person. Which is why I named my company Storia di Vita, aka “story of life.” Not much in this life happens in a vacuum. Everything and everyone has a story, it’s how we connect and celebrate and mourn and create and learn. To me the little bottles are like little pieces of a story all kept together. The same is true about nest. All the pieces of various stories, scraps and twigs and paperie wound so tightly together, molded into a home, a resting spot. I totally agree with this “All the pieces of various stories, scraps and twigs and paperie wound so tightly together, molded into a home, a resting spot.” The problem is sometimes we miss that in the mess of nest building. oh my goodness, love love love the bottles! you are ingenious. 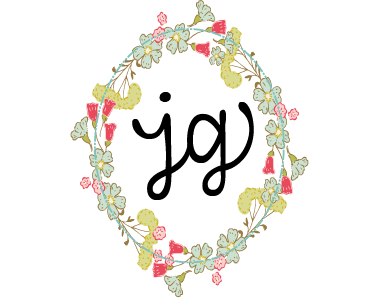 somedays I think I have creativity, then I look at your brilliant designs! I must not compare me to you, but be happy with what I can do 😉I have been drawn towards birds & nests lately, too. Always kindred spirts!